Description: It's custom that as the offspring of Darkblood come into adulthood, their horns grow. To learn their age, you count the rings on their horns just like you would a tree. 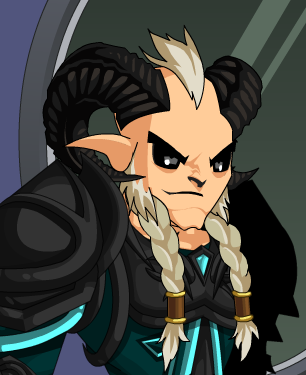 Note: Also see Male Darkblood Incarnate.